Temple University | Graduate Philadelphia! Founded in 1884, Temple University is a comprehensive public research university offering more than 300 types of degrees. Undergraduate and graduate degrees are offered at Temple’s Main Campus, Ambler, Center City, Fort Washington, Harrisburg and Health Science campuses. Many evening and weekend courses can be found on the Ambler, Center City, Fort Washington and Harrisburg campuses. Some programs offer courses online or in a hybrid format. 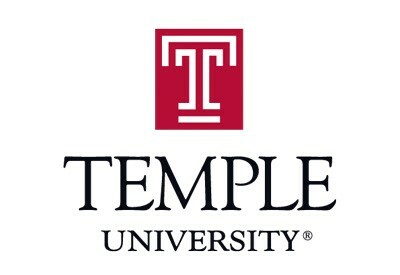 Temple University is part of the Commonwealth System of Higher Education and has dual admissions and transfer agreements with community colleges and the other colleges and universities within the Commonwealth system. Some programs will accept prior learning credits earned in the military or in other technical fields. Online advising — depending upon the college and major; library access online; computer center access at all campuses; on-campus and e-tutoring — writing center and math and science resource center; and evening services available at Center City, Ambler, and Main Campus (depending upon the college and major). Most courses offered in traditional format with some courses available online, hybrid or distance learning. Cost per credit varies from college to college and by lower and upper division courses. The range is $555/credit (Liberal Arts) to $752/credit (Fox School of Business, upper division).